The recent market bloodbath saw bitcoin break its month-long volatility drought and fall through some important psychological price floors. The media and crypto-twitter have been quick to attribute the price movement to the BCH hard fork. However, I’m not so convinced. As covered a couple of weeks ago, broad cyclical price movements have pointed to a continuing bear market for a while. Although historical analysis suggests that we are likely to have 3-9 months of downwards chop ahead of us, these are not bad entry levels to start playing the accumulation game. As Chris Burniske reiterated this week, the narrative has not changed (even if Mr. Market has); bitcoin still has the most reliable monetary policy of any asset in the world. The most prudent move is to keep calm and carry on. As millennials (loosely defined as those between the ages of 21 and 35) are moving into their prime income years, it is important to discern how they may impact the investment market in the coming decades. From the silent generation investing in gold to baby boomers investing in equities to Gen X-ers having an affinity for hedge funds - each generation seemed to prefer a different investment product. Data is emerging that millennials are increasingly investing in the cryptoasset space. Such an interest is primarily driven by a recognition of the current system’s failings, technological savviness and a higher risk appetite. We live in a rapidly developing world with each generation living through various innovations. The baby boomers witnessed the invention of cell phones and computer infrastructure; Gen X saw early software development and the early makings of the internet. Now, we are witnessing the explosion of several innovations occurring at the same time- artificial intelligence, alternative energy (electric vehicles), gene-editing, robotics and blockchain technology. Millennials have been at the forefront of our increasingly techno-centric society, and as such, have been more eager to embrace disruptive technologies. Secondly, as a relatively young demographic, millennials are likely to possess a much higher risk appetite than baby boomers/Gen X-ers, and thus more likely to bet on speculative assets. Recent data supports this sentiment. A study by Edelman found that 25% of millennials say they’re holding or using cryptocurrency and another 31% say they’re interested in using it. The generally positive sentiment towards cryptoassets shown by millennials coupled with growing disposable income may drive widespread crypto-adoption. The median millennial age is 26.5 years, which means that millennials are still yet to hit prime income years and will soon dominate the labour force market share. New Zealand millennials currently account for 34% of New Zealand's labour force and by 2020 would be the majority. This is likely to result in increased disposable income to delegate towards cryptoasset investment. “Mobile bankers” refers to those who use their smartphone, tablet or wearable to bank “on-the-go” and are a subset who are more likely to see the value of crypto. In a survey conducted from 15,000 people, ING research found that 31% of mobile bankers expected to own some cryptocurrency compared to 13% of non-mobile bankers. Furthermore, 40% of mobile bankers believe that cryptocurrency is the future of online spending (as opposed to 22% of non-mobile bankers). As interaction with cryptoassets requires a base level of technical knowledge, it makes sense that those familiar with digital banking are more open to the use of cryptoassets. Mobile banking may be a good gateway to slowly familiarize and integrate new users with the operational intricacies of trading, moving and custodying cryptoassets. In a landmark ruling, the Securities and Exchange Commission (SEC) on Friday settled charges against two ICO issuers, Airfox (raised $15 million) and Paragon Coin (raised $12 million) for launching unregistered coin offerings. The regulator contended that neither startup registered their ICOs as securities offerings, and neither qualified for registration exemptions. In addition to registering their tokens as securities, both companies will refund investors, file periodic reports to the SEC and pay $250,000 apiece in penalties. This ruling is likely to guide future enforcement and could open up all sorts of contentions and investor claims to ICO treasuries, which we will revisit next week. Presumably, under pressure from the U.S. Government, the Belgium-based Society for Worldwide Interbank Financial Telecommunication, better known as SWIFT, cut off Iranian banks and other Iranian financial institutions from access to the SWIFT network. Iran is responding with a rial-pegged digital currency that it plans to use as a token and as a payment instrument. In a speech at the Singapore Fintech Festival, Christine Lagarde, head of the International Monetary Fund, proposed the idea of releasing a digital currency. Over the past 12 months, the number of global bitcoin ATMs grew 360% from ~860 in November 2017 to over 3,900 in November 2018. Chinese mining giant Bitmain is suing an anonymous hacker that allegedly stole (USD) $5.5 million in cryptocurrency last April from the company’s account on the digital exchange Binance. 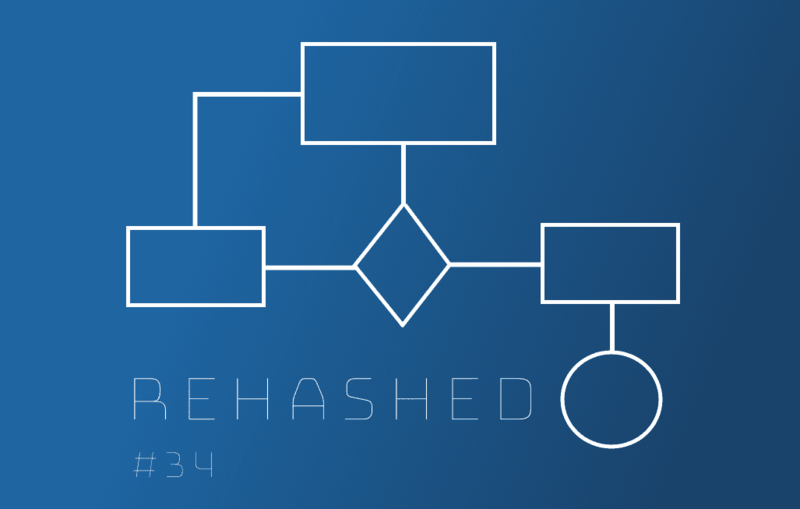 View previous issue: Rehashed - #33 Forking: Feature or Bug?